It’s amazing what information our hair can tell us – everything about a person’s metabolism, a person’s nutritional deficiencies and the level of toxins (heavy metals) present in their body through what’s known as a hair mineral analysis test. Available at the Melbourne Natural Medicine Clinic, this hair mineral analysis test is safe and non-invasive and measures the level of minerals and toxins stored in the body. It’s perfect for people who wish to know what they might be lacking in their diet or want to take the first steps towards improving their health by gauging their body’s current state of toxicity. Hair mineral analysis extends beyond the capabilities of standard blood and urine tests as it is able to provide credible information on over 35 nutrient and toxic minerals and more than 25 important mineral ratios. These mineral imbalances are also capable of accelerating the effects of various autoimmune diseases like Multiple Sclerosis, Lupus, Crohn’s disease and Vitiligo, while other degenerative conditions and Alzheimer’s and Parkinson’s disease have the potential to also be affected. 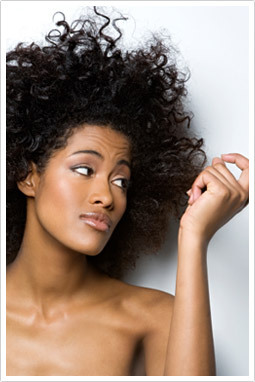 In short, almost anyone would benefit from a comprehensive hair mineral analysis test. What actually happens in a heavy metal analysis? Following the testing process and based on the results outlined in the report,your MNMC naturopath will provide you with the solutions you need to accelerate your body’s ability to clear excessive levels of heavy metals andimprove your nutritional mineral ratios. These might include specific changes to your diet or suggestions of nutrients that are suitable for you to take. Book in to Melbourne Natural Medicine Clinic today for a hair mineral analysis test and take the first steps towards improving your inner health. Our clinic is located at 49 Chetwynd St, North Melbourne. You can make an appointment online, email us or phone us on (03) 96862566.